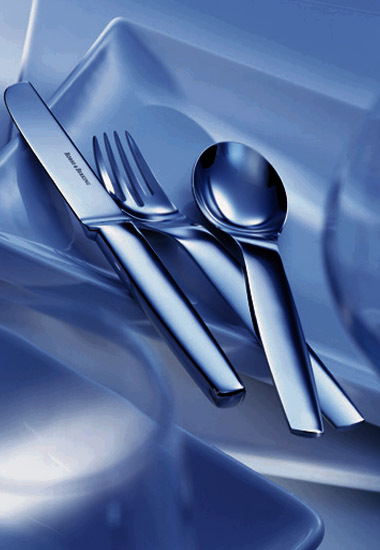 Pax represents stainless steel cutlery from Robbe & Berking which applies subtle radiance to any dining table. With its sophisticated reduction of form, Pax represents a true highlight for all lovers of pure design. Differing material thicknesses, the swung lines and interesting silhouette provide this cutlery with a very special charm. Pax brings decorative elegance into a room in a manner that only few cutlery collections can achieve.